Just received my race packet! Can't wait! 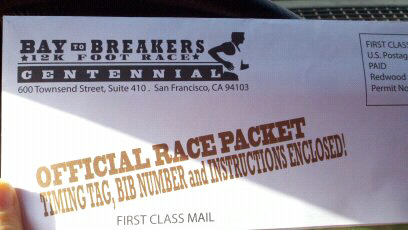 San Francisco is on my bucket list and I get to not only visit but run in the 100th anniversary of this race. Life is good!